Jagged Alliance: Rage Coming to PC and Consoles This Fall | Nerd Much? This is certainly a phrase I didn’t expect to be writing out today, but here I am writing it out nonetheless. THQ Nordic and HandyGames has announced that the Jagged Alliance series is returning later this year with Jagged Alliance: Rage. Jagged Alliance: Rage takes the series 20 years into the future. Much of the series’ original cast returns. Specifically mentioned are Ivan Dolvich, Helmut “Grunty” Grunther, and Kyle “Shadow” Simmons. With “other infamous fighters” taking up arms once again too. The newest iteration on the franchise offers “a new take on turn-based tactics, adventure elements, and the well-known quirky mercenaries”. 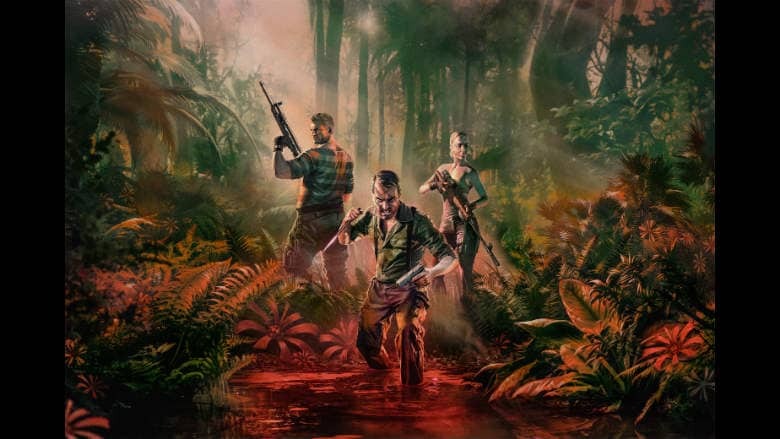 Jagged Alliance: Rage will put players into a “jungle hell” where you’ll face off against enemies that look to take you down via an onslaught of bullets and guerrilla tactics. The characters in Rage can do the same though. THQ Nordic teases that you’ll have a “variety of tactics ranging from stealth to brute force.” The core of Jagged Alliance: Rage is the game’s turn-based tactical gameplay that peppers in adventure elements. And you can romp through the game’s jungle with a buddy in the title’s 2 player online co-op mode. Only time will tell whether Rage represents a return to form for the historically renowned turn-based strategy series. Today’s trailer above certainly didn’t do a ton to get us excited, but we’ll have to wait to see how things turn out. Jagged Alliance: Rage is coming to PC for $19.99 and Xbox One and PlayStation 4 for $29.99 later this fall.